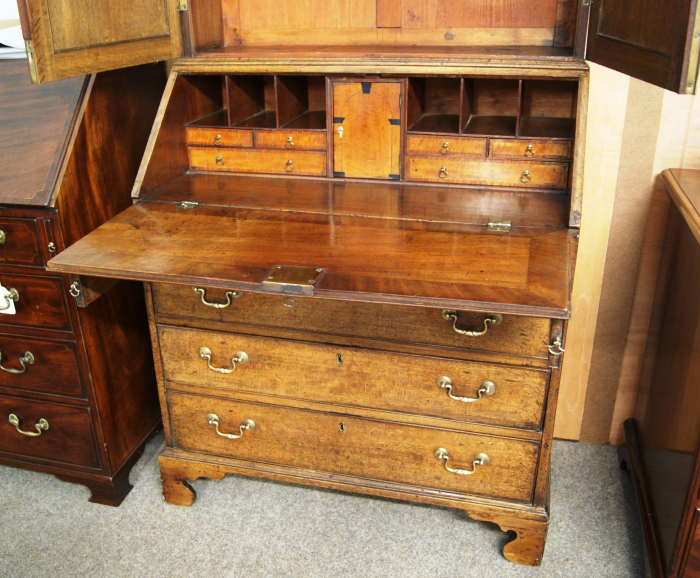 A very good early George 111 period (English circa 1770) bureau cabinet bookcase in figured English Walnut with fine ebony inlay. 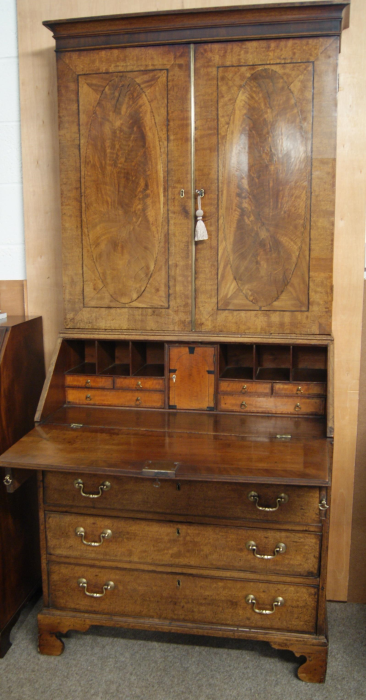 fully fitted bureau interior with drawers, pigeon-holes, locking cupboard etc., All locking with the original key to front fall. 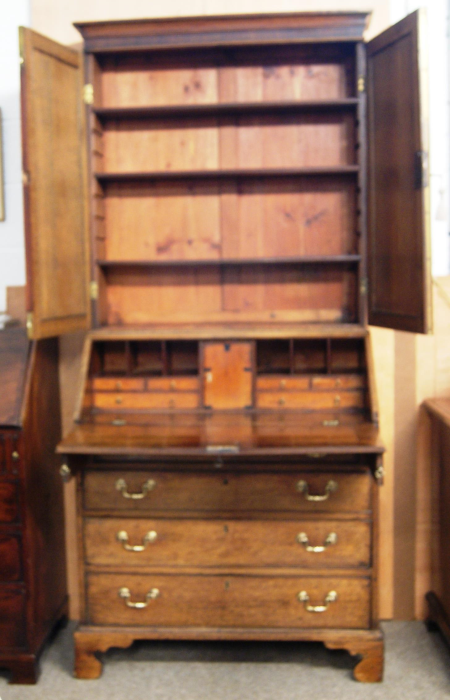 Top section with three adjustable interior shelves, Doors locking with original key. Below four deep drawers over bracket feet. 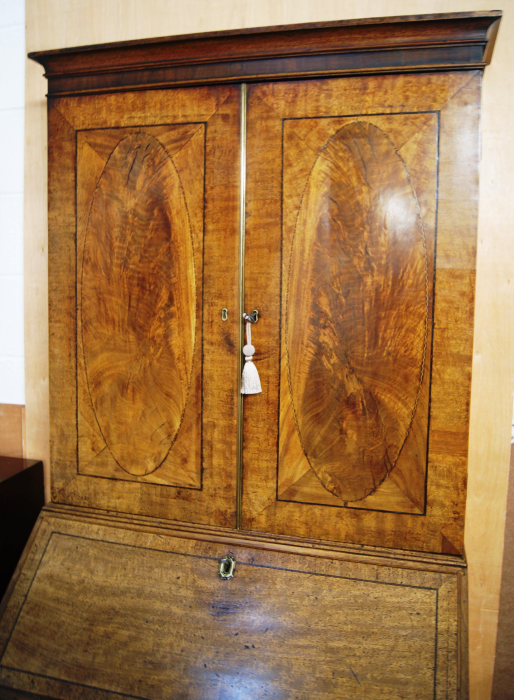 Brass handles etc. 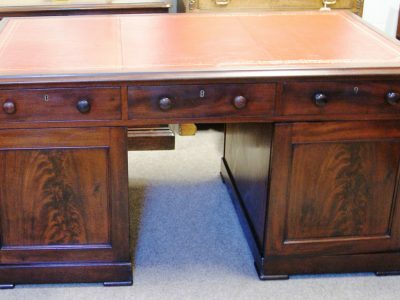 Lovely original condition with a nicely faded patination. 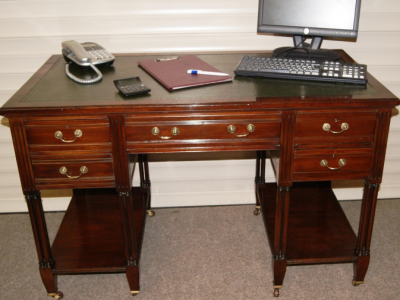 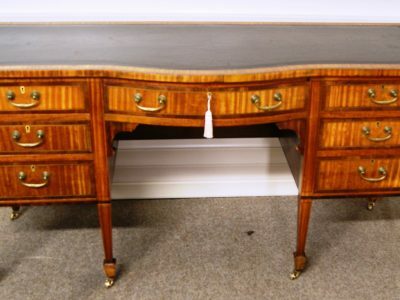 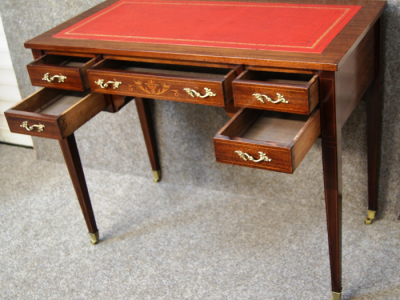 Large, Edwardian, Bow Front, ‘Sheraton-Revival’ Satinwood Desk.